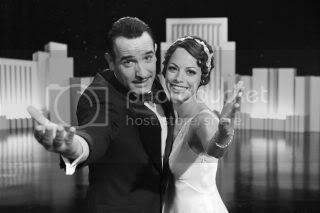 With Michel Hazanavicius’ The Artist and Martin Scorsese’s Hugo, audiences have been transported to the cinema of the early 20th century. But the way in which both films have transported audiences to this time period is quite compelling. Scorsese employs a technology that is still in the process of refinement, whereas Hazanavicius reverts to a 1:33 film ratio, makes it black and white, and keeps it relatively silent. Both Hugo and The Artist address each filmmaker’s admiration for the period, whereupon their influences flourished and paved the way for their own films to be made. With The Artist, Michel Hazanavicius’ adoration for the silent era of filmmaking is based on composites of true-to-life people. George Valentin (Jean Dujardin) seems to be modeled after The Sheik star Rudolph Valentino, a character with an elastic face and domineering physical presence. George Valentin is the action star of the silent pictures. In The Artist’s opening sequence, we’re tossed into a movie within a movie situation, where Valentin and his Jack Russell Terrier go on their kooky adventures that rival that of Tintin and Snowy in The Adventures of Tintin. In a chance encounter after a successful screening, George meets Peppy Miller (Bérénice Bejo). An aspiring actress, Miller ends up sharing the screen with Valentin in one of his pictures. In the film’s sweetest moment, the two end up having to redo the same scene, each time falling for each other a little bit more. As much a work of nostalgic reverence, The Artist works best as a film about the nature of progress. As the silent era gives way to sound, Valentin fades into obscurity. Hazanavicius has as an interesting method to address Valentin’s growing disconnect with the world, implementing some of the few sound elements in a dream sequences. With Valentin’s star fading and Miller’s rising, there’s an overarching sense of despair that recalls Norma Desmond in Sunset Boulevard. 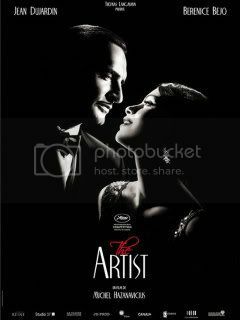 My problems with The Artist stem largely through the artificial way in which Hazanavicius recreates a silent film. 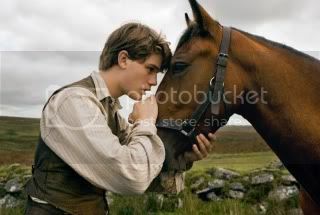 Much like Steven Spielberg’s War Horse, The Artist feels more like mimicry instead of an original piece of work. Unlike Hugo, there’s nothing to The Artist that feels as if it’s speaking to a larger truth about what unites us in appreciation to cinema – The Artist, for all its charm, remains fairly superficial and on the nose. Even more cloying is the nature in which Hazanavicius relies on the time period without directly acknowledging the cinematic personalities of the era. The Artist simply clings onto such overt sentimentalism that it never reaches the sort of level of reverence for the era that have been seen in films like Hugo or even Midnight in Paris. It’s well-made and cute, but ultimately lacking.